There is a small park and lots of souvenir shops around the monument. You can reach Lapu Lapu by hiring a ca or by a Jeepney ride. 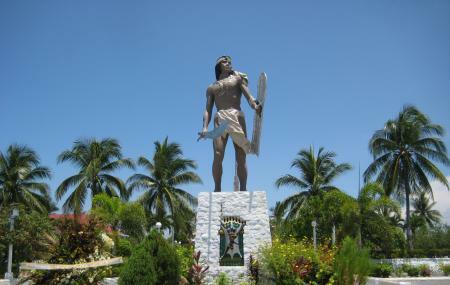 How popular is Lapu Lapu Statue? People normally club together Tops Lookout and Kalanggaman Islet while planning their visit to Lapu Lapu Statue. Went here October 2018. Place was okay. When we went here, the river, lake, or whatever it's called was dried up, so that made it a bit of a let down. The monument and the historical piece (building) I'd recommend. It may not be much, but it does hold of what's left of the many events that might have taken place in here. Plus it's still here to stay as long as it's kept well and not that much disturbed. It's even gonna last longer than you though (that's a fact). The Mactan Liberty Shrine is now open to the public again after the renovation. The shrine is a big space and can handle the big event.